It's one of THOSE books. You tear through it, unable to put it down. 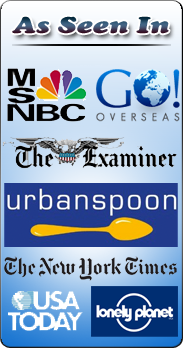 Read while cooking, eating, even postponing sleep until you just can't keep your eyes open any more. I'm very happy to share my latest read, one of THOSE books. Yes, it's one of the best books I've read all year. 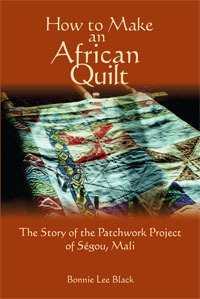 Written by Bonnie Lee Black, How to Make an African Quilt: The Story of the Patchwork Project of Segou, Mali is an incredible read. 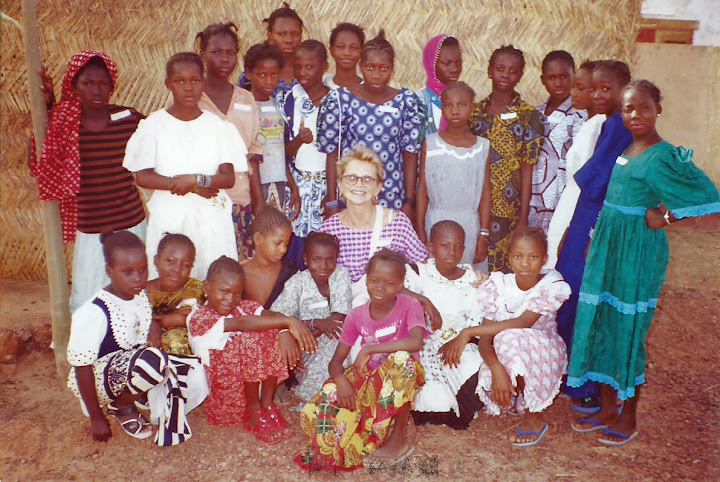 A former Peace Corps volunteer, Bonnie headed to Mali and changed lives (her own, included). If you've ever wondered if your NGO or Peace Corps or volunteer work has made a difference, this is a book to dive into and savor. 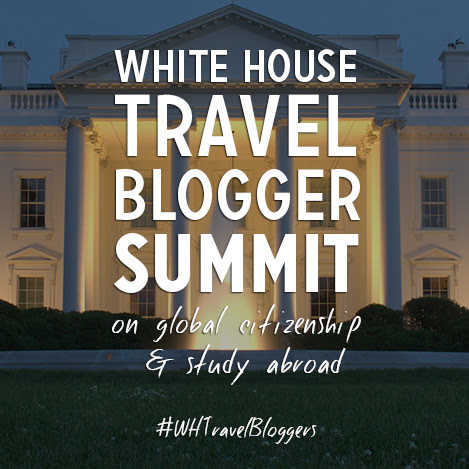 For you will recognize many common truths about working overseas - the joys and challenges, the amazing people, the interest and hard work of some to better their lives, and the powerful role that educators play in this transformation. In this book, Bonnie shares the inspiration and tracks the progress of an unusual project to help people help themselves. 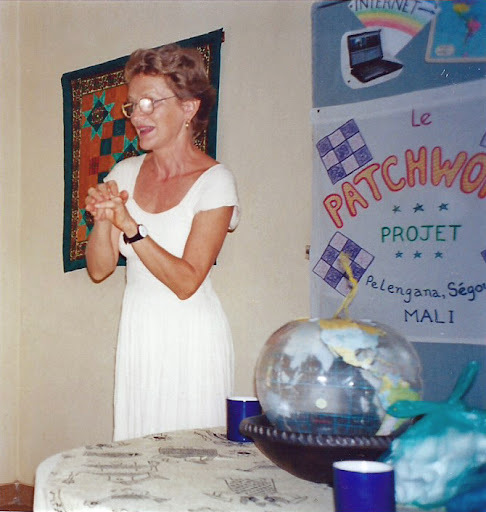 After working with the Peace Corps in Gabon, she headed to Mali to build a welcoming home, peaceful garden, wondrous community. 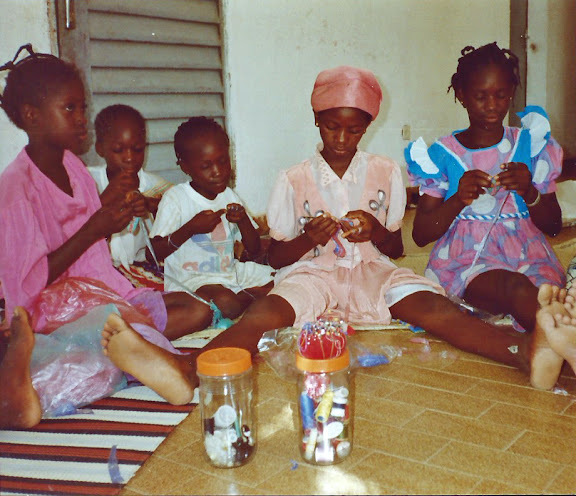 She worked with young girls to teach them how to crochet plastic bags into something useful, in a class that taught hard work, crafting, and ways to make money from their work. 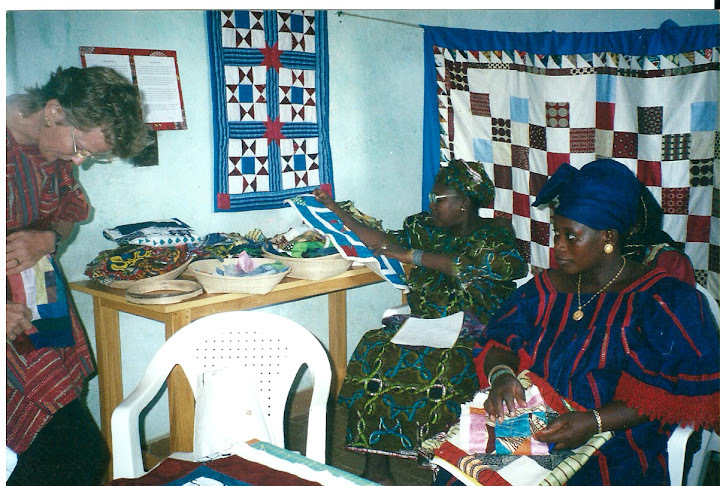 She then found herself teaching patchwork quilting to a group of women. Formalizing this educational process, she applied for and received a few grants, but most of this work was done by herself, with a little help from her friends. Books, cutting tools, etc. 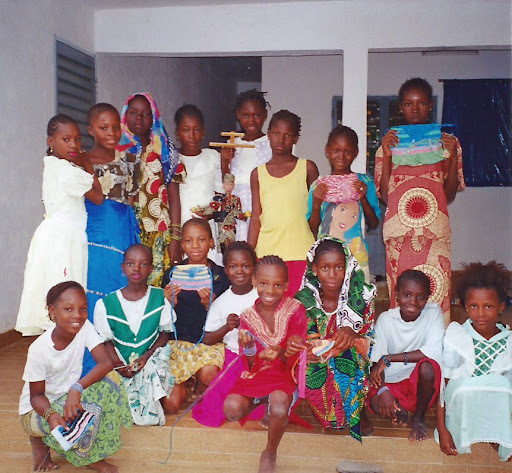 were mailed to Mali, and Bonnie organized quilting teacher training sessions. Take these gorgeous colorful local textiles, add in hard work and the cameraderie of quilters, and you've got a recipe for success. 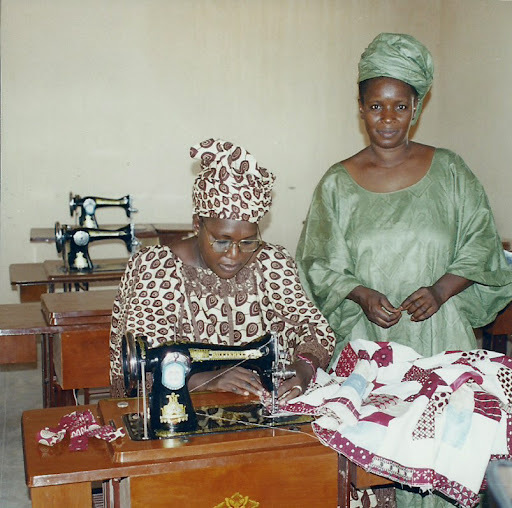 These Malian women's new skills can - and will - make a difference in their lives. It's the power of education to better lives; it's the vision, strength, and hard work of one woman to implement change and empowerment. I can honestly say that Bonnie Lee Black is a hero - in more than one sense of the word. She knows her SELF. She works tirelessly to educate and assist others, all with a sense of humor and grace. And yes, she changes lives. As you can surmise, I highly recommend this book - it's a treasure. 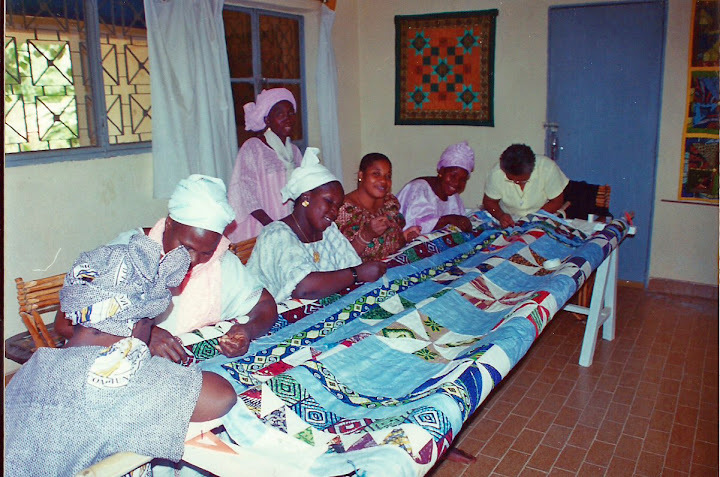 How to Make an African Quilt is the story of my nearly three years living and working in Segou, Mali, West Africa, where I independently created an economic development project I called “The Patchwork Project.” At the request of a group of talented Malian women from a local women’s sewing center, I taught them patchwork quilting – which I had to quickly learn myself! – and they fell in love with the craft. 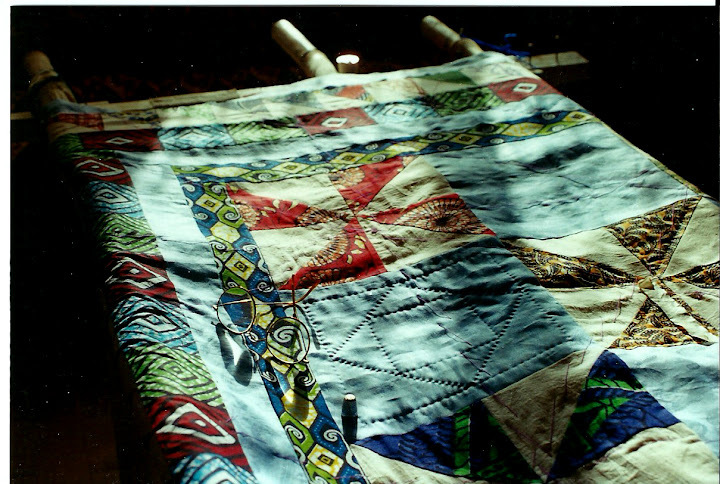 The book, in fact, has a lot of love in it – my love for that place and the people I knew there, as well as the Patchwork Project participants’ love for patchwork quilting. How to Cook a Crocodile, about my adventures in Gabon. 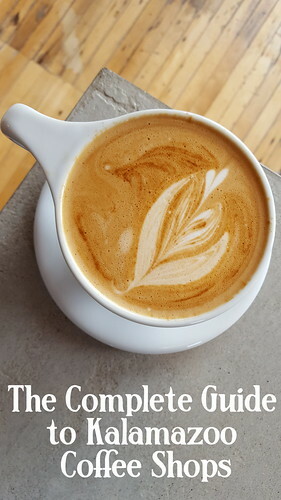 That book had a culinary theme, and this one focuses (although not exclusively) on quilting, but both titles are metaphors for something larger: How do you adapt to living in a totally different culture? 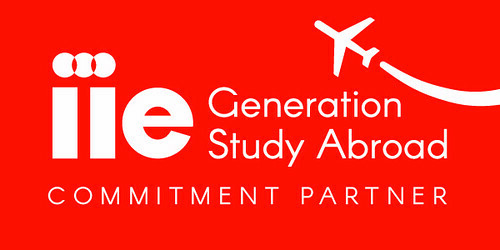 How do you make significant and meaningful cross-cultural connections? I was particularly motivated to see this Mali book published when I saw that Mali was making international front-page news over the past year. What used to be an exemplary African country is now, unfortunately, in turmoil. 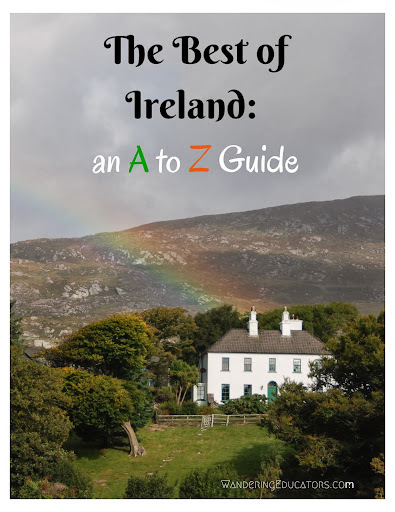 I wanted my book to take readers to a place they’ve probably never seen and introduce them to some wonderful people there, in the hope that they might care. From your experience as a development worker and educator in Mali, what do you feel are some ways to effect lasting and positive change? 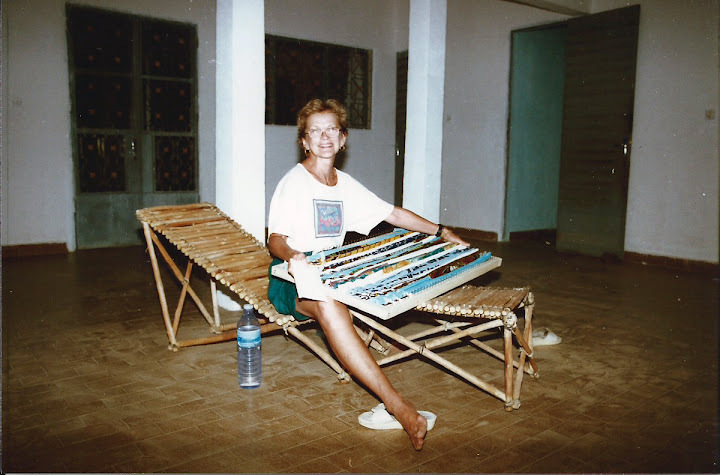 I’ve lived “on the ground” for a total of seven years in Africa, in three different countries; and I’ve traveled extensively (and simply) in nine African countries. So I can say that in my experience Africans, and Malians in particular, are proud people with rich and proud histories. I believe we have a lot to learn from them. So to be quite honest, I think that development workers would be more likely to effect lasting and positive changes if they left their know-it-all attitudes at home and approached these old-and-wise cultures with respect and an open mind, willing to learn as well as teach. 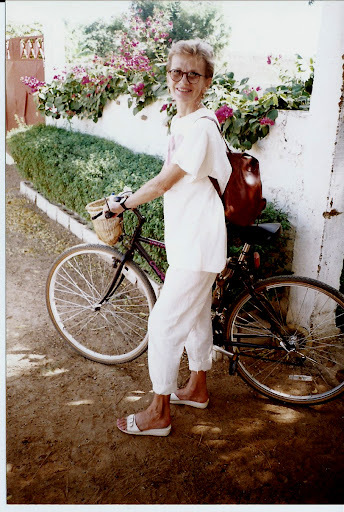 I loved reading of such strong women, intent to learn and better their living situations. Do you think that the Patchwork Project has made a difference? Oh, I like to think so. The women involved in the Patchwork Project really, really loved what they were learning, as I’ve said, and I’m sure they haven’t forgotten how to do it. 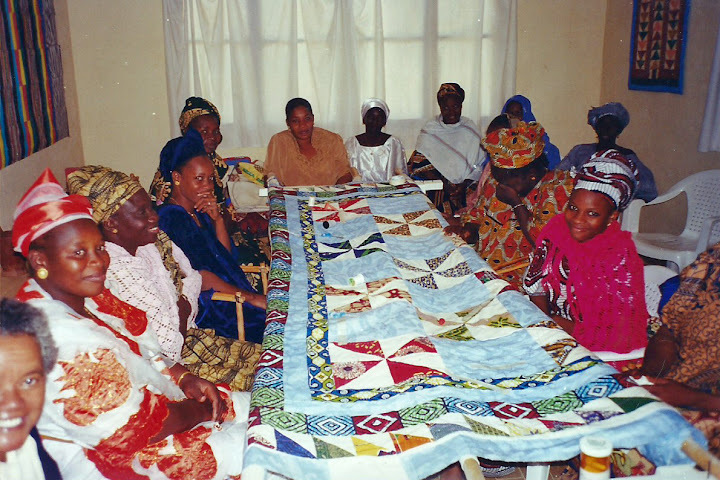 Although there is no market for bed quilts in Mali -- where the temperature is about 110 degrees year-round, day and night – I’m hopeful that some day these women will be able to make quilts for sale over the Internet to buyers in colder climates. This would make a huge economic difference for them. In the meantime, I’m sure they are continuing to make small patchwork items, such as pillowcases and shoulder bags, to sell in their gift shop. What does the Patchwork Project need, to get fully off the ground and functional? Or to make more money? Yes, what a great question. I’ll make a short list: It needs peace and stability restored in the country. 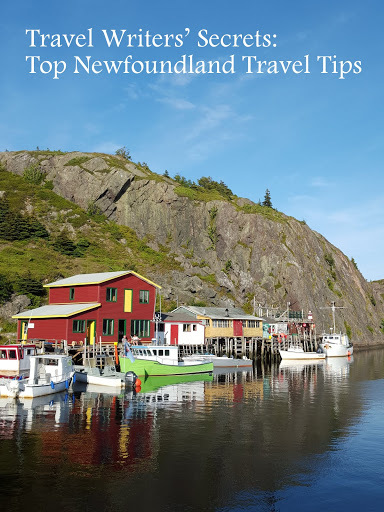 It needs tourists to return so that someone might visit their gift shop! 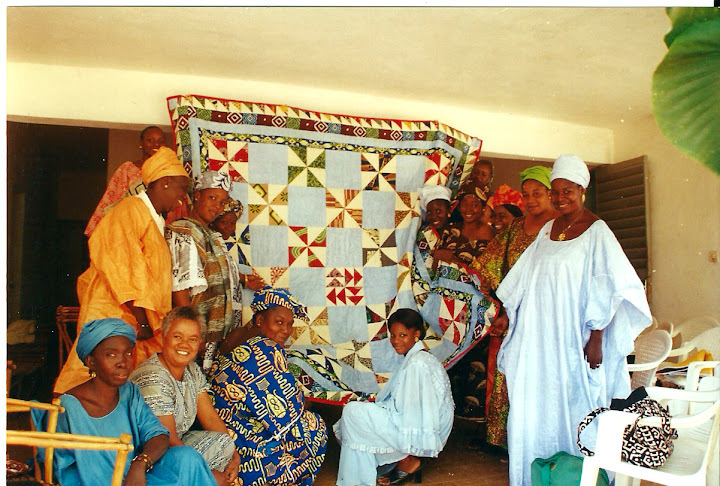 It needs more quilting equipment – rotary cutters, mats, batting, etc., that are unavailable (and unheard-of) in Mali. Most of all, it needs one inspired person with the business and technological skills that I lacked (and still lack) to make the connection between these willing and talented women and the wonderful World Wide Web of potential quilt buyers. I took the project as far as I could. My hope and prayer has been that some day someone else, after reading this book, will be willing and able to take it further. How can readers help? What do you suggest people do, to be involved in social change and development? Being an educator as well as a writer, my first response is to say: Learn as much as you can. Try to see the situation from a different point of view than the one you’ve always had. This is what I’ve tried to encourage readers to do in this book. 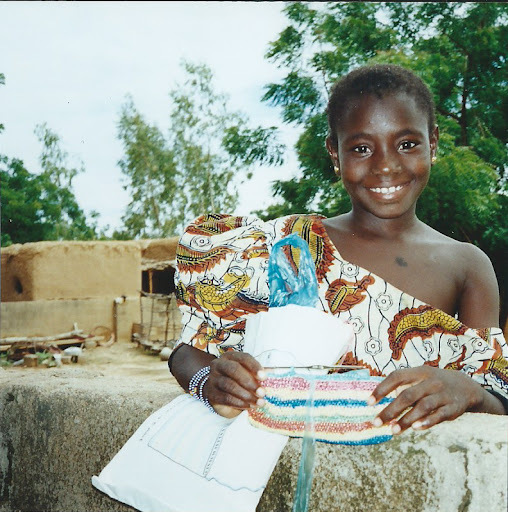 I lived as an African among Africans (although, of course, I knew I could never become African); I share my experience from that, positive, perspective. So, in my view, we can help by being better informed and by caring about the real issues that matter to the people there, not what we think they should need. Well, I happen to be hunting for a willing literary agent for a historical novel I’ve just finished based on the life of my Scottish great-grandmother who left Scotland for South Africa in the early 1880s. Africa again! I seem to be obsessed with Africa! (Maybe I inherited this trait from that great-grandmother.) I’m also beginning work on another book, but it’s too soon to say much about it. That would be like letting air out of my tires. I’d just like to say how grateful I am for this opportunity to connect with your readers, Jessie. 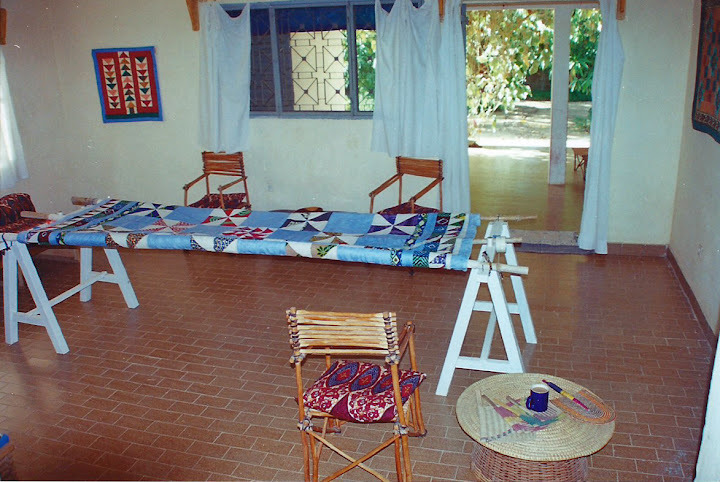 I hope they’ll enjoy armchair-traveling to Mali via my How to Make an African Quilt. Thank you so much. Note: We received a review copy of this book from the publisher and author. Thank you!